Prefer to work in pairs or groups? 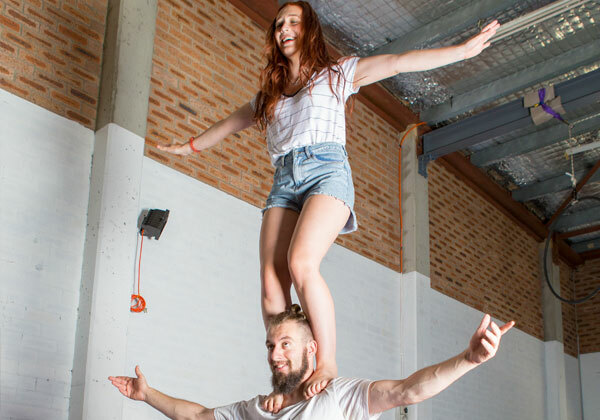 Acrobalance is a class where you’ll be building pyramids, counterbalancing and standing on each other. This is a great class to start with, if you know you want to be up in the air but you just don’t know which apparatus to start with. 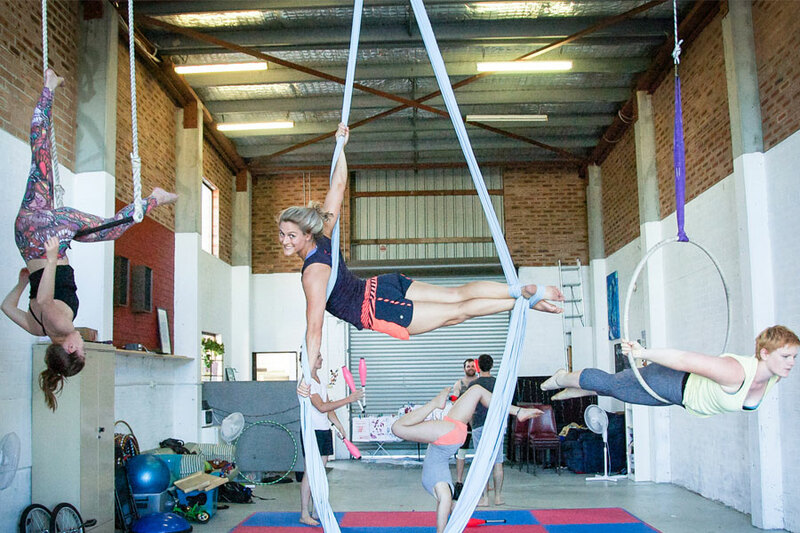 You’ll get to try aerial ring, silks and trapeze, and can choose your favourite or do a bit of all three! 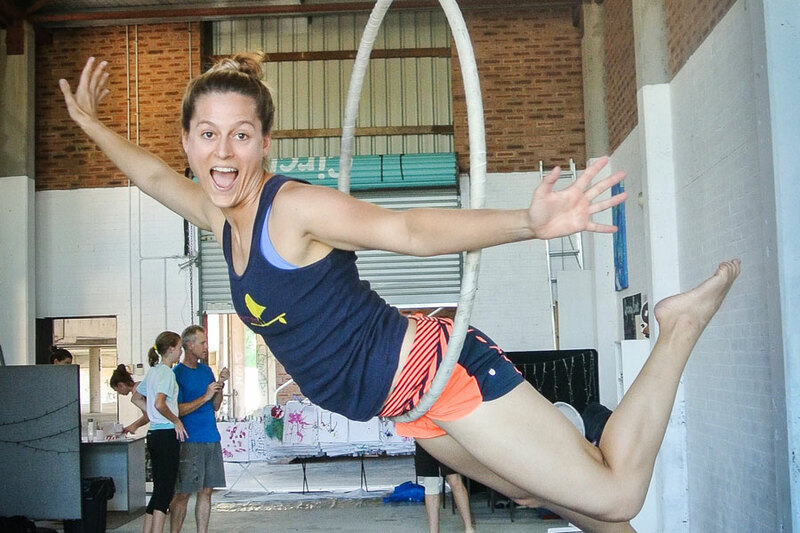 Aerial ring, or lyra, is one of the more pretty circus skills. No prior experience is needed, you’ll be amazed at some of the lovely shapes you’ll be pulling from your very first class! Aerial silks, or tissu, are one of the most popular aerial skills around! Learn to climb, pose and tumble from the ceiling – a versatile apparatus that can be both elegant and dramatic. Do you prefer to keep both feet fully on the ground? Juggling might be the class for you! 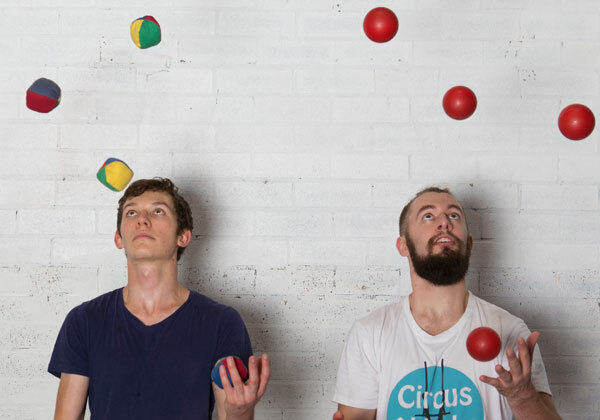 Learn to juggle balls, clubs, scarves and rings, or challenge yourself with more unusual skills like diabolo, spinning plates or flowers sticks. We try to pack as much as we can into each class, so open training is a great opportunity for you to keep working on the skills you learn during the week. Even better? It’s free for all enrolled students. One of the oldest aerial apparatuses, trapeze is a firm favourite. 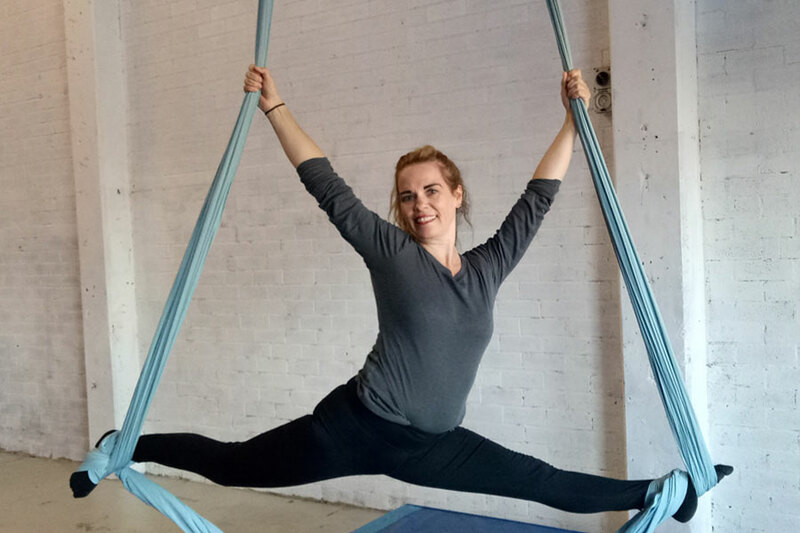 This class focuses on static trapeze (not flying trapeze), so you can learn all the poses at your own pace. Circus is much more fun when you’ve got the strength to pull yourself onto the bar, or a bit of flexibility to get your feet that little bit closer to your head when upside down. 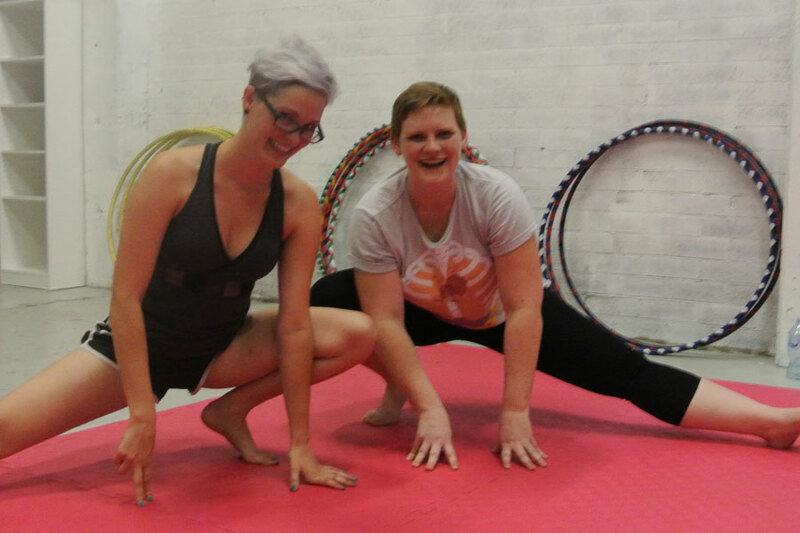 Although there are no prerequisites for beginner classes, Strength & Flex is a good addition if you want to get that little bit further in your training, or just a good fun circus workout!